Has Samsung Planned Something Revolutionary? 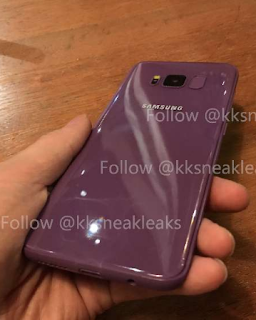 Some images showing Samsung Galaxy S8 in a violet colour giving a cheap plastic feel have been leaked online. Earlier, images carrying S8 stock wallpapers were leaked. 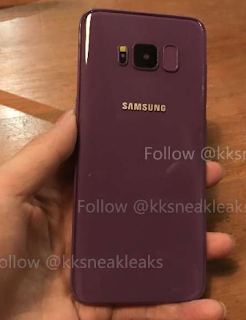 Leakster @kksneaksleaks has posted four photos of the purple-coloured Galaxy S8 on Twitter. 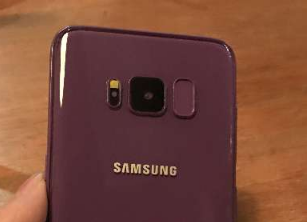 However, We hardly get to believe that the giant tech Samsung would experiment with a weird colour like this as all their previous offerings come in quite sobre shades. 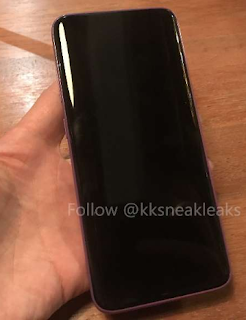 The voilet bezels leaked online make the phone look ugly and cheap. It is highly unlikely for the company to ruin its latest flagship smartphone with a choice of colour like this. Or is the company planning something revolutionary? 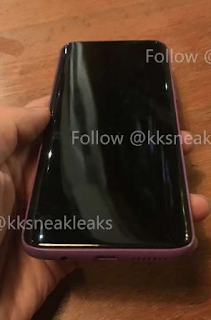 This could probably be a Samsung Galaxy S8 mock-up or an original one hidden inside a layer of violet paint wrapping. Earlier, Samsung Galaxy S8 was leaked in a stunning jet black colour. The pictures leaked online till now, more or less, confirm the features that we have been talking about. The entire picture will get clear only on March 29th, when the company would officially unveil its latest flagship smartphones S8 in New York. Samsung Galaxy S8 would go on for sale somewhere in April end. According to sources, Samsung Galaxy S8 would also be coming in matte black finish, which would make smudges less visible. This news comes as a relief for users who hate glossy black finish that is a major fingerprint magnet. They somehow seemed to have mastered Amy Adams Anti Aging Products the art of saving money when shopping. Here are some tips on how you can save money when you are shopping beauty health products.